After Stephanie Smith played in a band called SPECTATOR PUMP in the 90s, she founded her own band with the name KLEVELAND in 2000. The bandname arose while she was working in a bar. Her colleagues were taff ladys which were equal to the women that live on Wonder Womens island called “Paradise Island”. A friend of Stephanie called the island cleave-land. She immediately fell in love with that name and so she called her band KLEVELAND. After that she released an EP called “Everybody Wants TO” in 2002 and the first full-length and self-titled album in 2005. 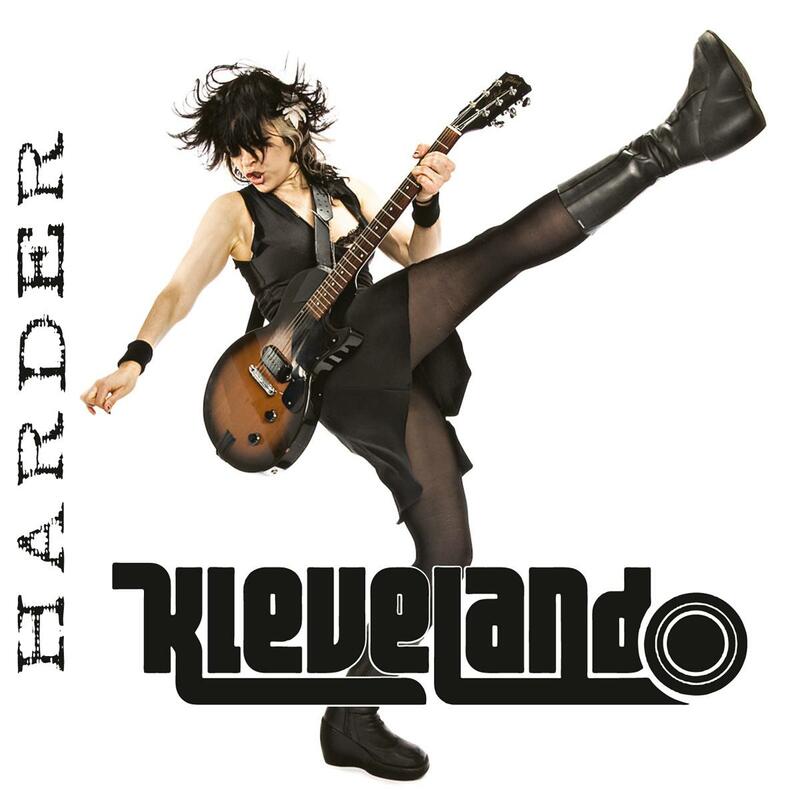 KLEVELAND is hard and dynamic Rock & Roll, which sounds rather familiar to bands like RAMONES, NEW YORK DOLL and RUNAWAYS. Her gigs are a pure homage to the classic Rock & Roll and Glam Rock. On June the 10th 2011 her new album “Harder” will be released via SAOL / H’Art / Zebralution. It will consequently move into the direction of the first record.